You are cordially invited to this Open Studio during Unseen Photo Fair. 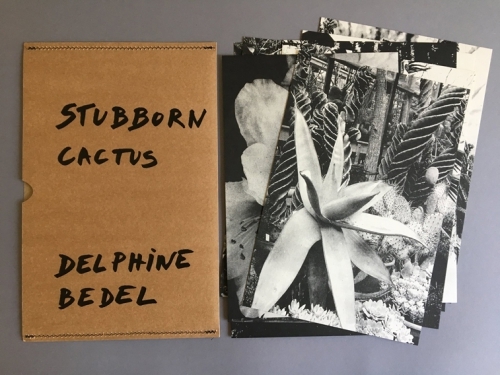 Delphine Bedel will present two recent projects: 'Stubborn Cactus' and 'Live Archive' in the studio of Jérôme Schlomoff, in the Jordan in Amsterdam. And Jérome will present 'Sténopé architecture: Le Cabanon & l’Atelier Le Corbusier, Roquebrune-Cap-Martin'. For this exhibition, the two artists will enter in conversation around their photographic practices. With their work, they question the role of photography in relation to cultural heritage, plant collections, and the architecture of memory. "Le cabanon de Le Corbusier" Jérôme Schlomoff. Delphine Bedel is an artist, researcher and publisher, who's work is exhibited internationally. She founded the publishing house Meta/Books. Her cutting-edge publications received critical acclaim. Jérôme Schlomoff is an artist who works with photography and film. Building his own DIY 35 mm pinhole cameras, he films various architecture around the world. For the last 6 years, he collaborated with Maison Chanel on the legend and legacy of Coco Chanel. Stubborn Cactus started in 2013. For one year, Delphine documented the former Botanical Garden of the VU University in Amsterdam, that is threaten with closure. This academic garden is only one hectare but it hosts a unique collection of 10.000 plants and the largest collection of cactuses and succulent plants in the Netherlands, as well as centuries old bonsais. The tile 'Stubborn Cactus' was inspired by some of cactus quietly growing in every interstice of the glass house for the last 50 years. Playing with both codes of photography and plant preservation, Delphine purposefully uses all the technical flows of digital and analog medias. She transforms her vernacular colour snapshots into black and white, flat pressed plant specimens on metal, to be stored indefinitely as a record of the flora, a statement on the versatile future of the garden and its collection. This photographic series was presented at the Biennale of Photography in Mulhouse in 2016 and was published as a limited edition by Knust/Extrapool. 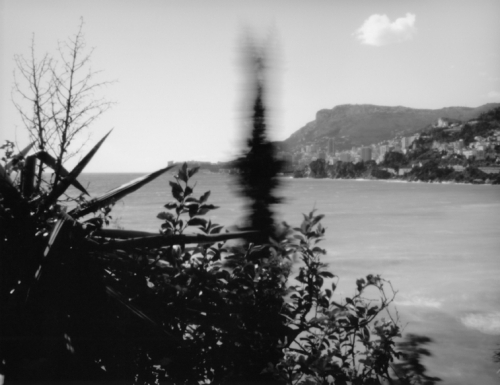 Jérôme Schlomoff will present the photographic series 'Sténopé d’Architecture: Le Cabanon & l’Atelier Le Corbusier–Roquebrune Cap-Martin'. This little corner of paradise in the south of France was the summer house buils by Le Corbusier for his wife. The garden and the poetic construction reflects the intimate emotion of the nature of this simple architecture, set back from the world that plays hide and seek with our eyes. Delphine Bedel will also present 'Live Archive', a collaboration with the designer Noémie Vidé. The series of paperback books is based on Delphine's personal archive as artist, curator and publisher. It's the first presentation of this long-term project. The exhibition will be on view for one weekend during Unseen. Delphine, Jérôme and Noémie will be present.